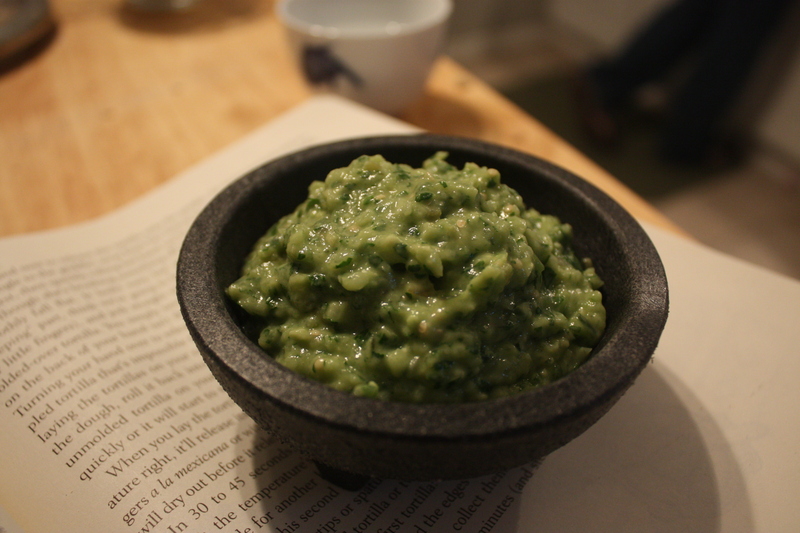 I’ve never really been a fan of Guacamole. I find it usually pretty bland, but I’ve been trying to eat more avocados, as they are good for you. 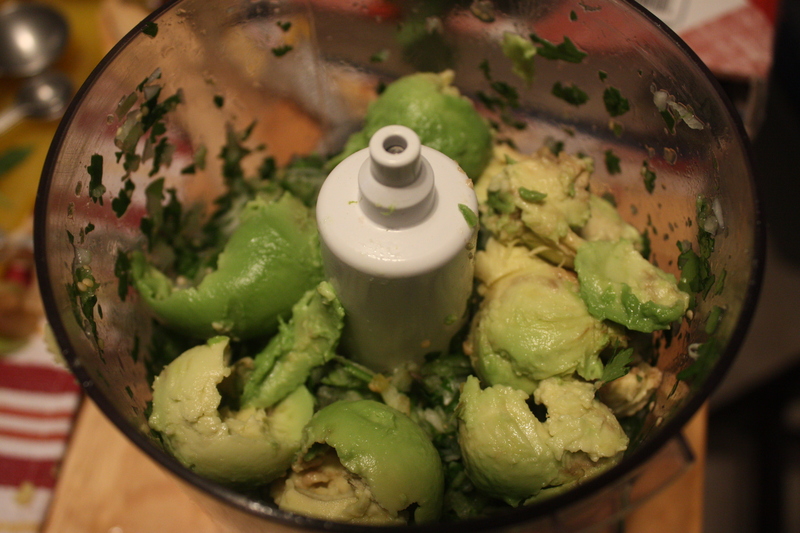 What I love about this recipes is that the tomatillos balance out the avocado. 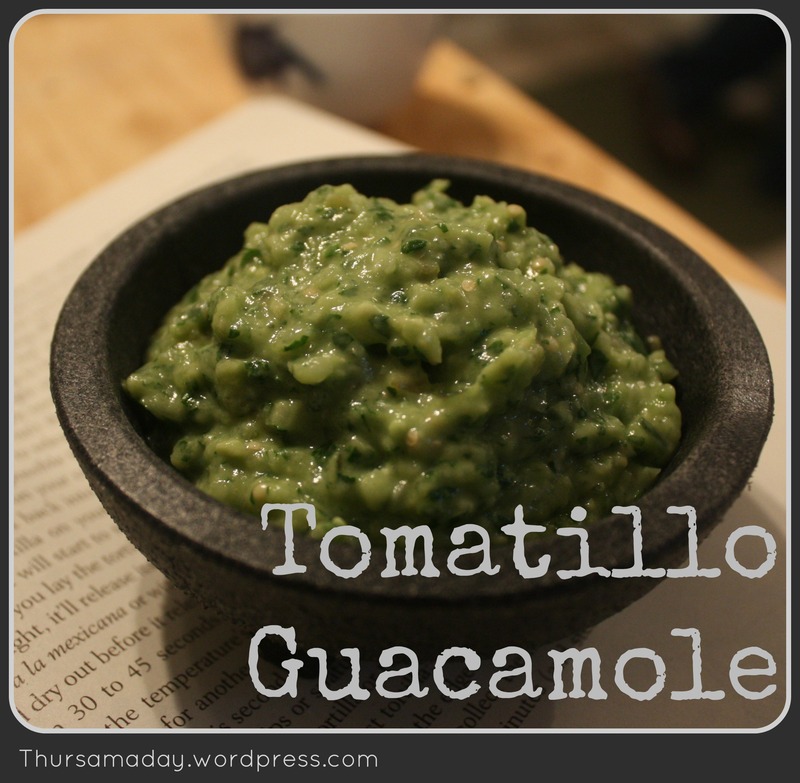 The avocado is creamy while the tomatillos are crisp, fresh & tangy. It is very hard to describe due to the limitations of blogging…. just give it a try. I put everything in the food processor except the avocado to make sure the ingredients were consistent. I then added the avocado. Unfortunately, it wasn’t the prettiest on the inside.